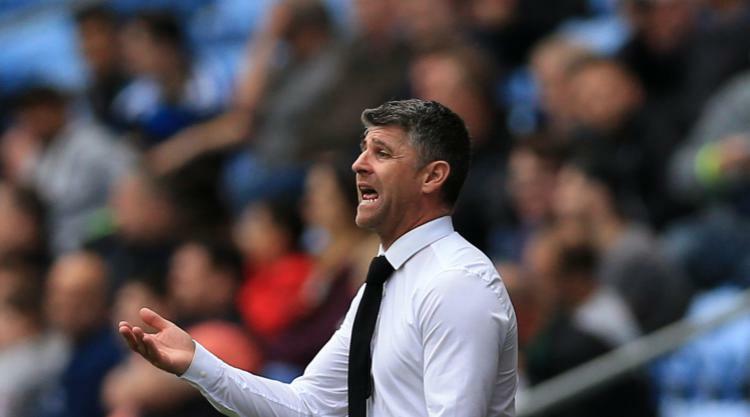 Motherwell manager Stephen Robinson vowed to aim higher next season after his side avoided a Ladbrokes Premiership play-off with a game to spare. The Steelmen moved into ninth and opened up a six-point gap on second-bottom Hamilton after beating Kilmarnock 3-1 while their Lanarkshire rivals lost against Ross County. Second-half goals from Lionel Ainsworth and Elliot Frear ensured Motherwell claimed back-to-back wins for the first time this season, after Killie midfielder Adam Frizzell had cancelled out Carl McHugh's first-minute opener. Ainsworth's goal, a powerful free-kick which swerved inside the far post from a tight angle, was worthy of winning any game and Robinson wants to make sure they set their sights higher in his first full season as boss. "I told the boys to enjoy it, enjoy what you've done, you have stayed up, but we have to build the football club again," Robinson said. "We have to make sure we aim higher. We know it's difficult, we have got a low budget, possibly the lowest in the league, I don't know. "But we have got a lot of work to do and the hard work for me really starts now." Hamilton's 3-2 defeat in Dingwall also ensured Dundee were safe before they host bottom club Inverness, who got a lifeline ahead of their penultimate game of the season on Wednesday night. Caley Thistle need a result at Dens Park, realistically a victory, to take it to the final day, when they host Motherwell and Accies face Dundee. And Hamilton manager Martin Canning hopes to have better luck after a painful night in the Highlands. With the scores at 1-1, both Rakish Bingham and Ali Crawford hit the post for Accies before Jim O'Brien's shot rebounded off the post and bounced in off Hamilton goalkeeper Remi Matthews in a freak goal. David Templeton levelled but Jonathan Franks won it in stoppage time with a 20-yard half-volley. Canning said: "I think that just summed up the way things have being going for us. "Anybody at the game - and everybody I've spoken to - can't believe we've lost that match. We should have been comfortable winners."